Emily Pendleton from Ray White Commercial Northern Corridor Group is pleased to present to market for sale Suite 7, 33-37 The Esplanade, Cotton Tree (Maroochydore). 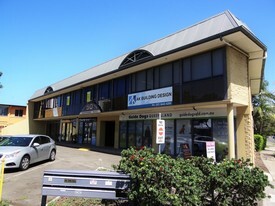 The location of this professional office/consulting suite is in an unbeatable location, opposite the beach and in walking distance still to amenities including the court house, post office, council chambers, banks, Sunshine Plaza and the new Maroochydore CBD. The lifestyle this office space can offer is unlike no other and gives you the opportunity to stop paying rent and own your own premise today. The property is being sold by the way of Private Treaty for $460,000 + GST (if applicable). Contact exclusively appointed marketing agent Emily Pendleton today for further information or to arrange an inspection. Centrally Located Offices.. Price: For Sale $610,000/Lease (..
Professional Office Suite.. Price: Sale From $290,000 | Leas..
Industrial Premises - Kun.. Price: For Sale:$580,000 + GST/ ..